The UCLA Longevity Center, a nonprofit organization dedicated to enhancing and extending productive and healthy lives through research and education, will honor UCLA Chancellor Emeritus and Professor Albert Carnesale and his wife Robin Carnesale; singer, songwriter and composer Randy Newman; Lockton Insurance Brokers President and CEO Timothy J. Noonan; and film, stage and television actress Eva Marie Saint at the 2014 ICON Awards gala, June 5, 2014 at the Montage Beverly Hills. Actor, comedian, author and musician Paul Reiser hosts. Award-winning jazz guitarist Kenny Burrell will perform. Dr. Louise Horvitz and Patricia Dunn Grey co-chair. “The ICON Awards were created to recognize individuals who have become legends in their fields and serve as role models for healthy and active living,” said Gary Small, MD, Director, UCLA Longevity Center. Robin and Albert Carnesale will be honored with the ICON Award for Visionary Leadership in Healthcare. Albert served as chancellor of UCLA from 1997 to 2006, and is currently a UCLA professor. Robin Gerber Carnesale shared her husband’s vision and actively participated in university life, while also serving as CEO of RGA, Inc. 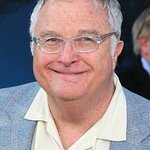 The ICON Award for Artistic Excellence will be presented to singer, songwriter and composer Randy Newman. His many honors include Grammy, Emmy, and Academy Awards. Academy and Emmy Award-winning actress Eva Marie Saint will receive the ICON Award for Artistic Excellence. Saint studied at the Actors Studio in New York and began her career in “live” television and theatre. The ICON Award for Visionary Leadership in Business and Philanthropy will be presented to Timothy J. Noonan, President and CEO of Lockton Insurance Brokers, LLC. Noonan is an advocate of public service and community involvement. Founded in 1991 as the UCLA Center on Aging, the UCLA Longevity Center, represents the best of UCLA. Calling upon the talents of faculty, researchers, and students, it demonstrates the power of interdisciplinary collaboration to address real-world challenges. Through cutting-edge research and innovative programs, the Center’s endeavors are improving lives every day. The UCLA Longevity Center has distinguished itself as a pioneering leader in the field of longevity and aging well. For more information, please visit www.longevity.ucla.edu.